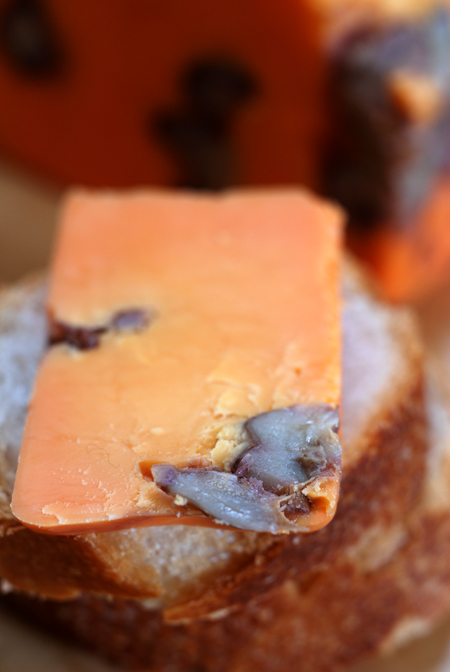 It's another first for this site - time to explore one of those nefarious "orange cheeses". Growing up I used to look at this types of cheese with suspicion, they just didn't look natural. Luckily we grow up and realise we shouldn't base everything on appearance. 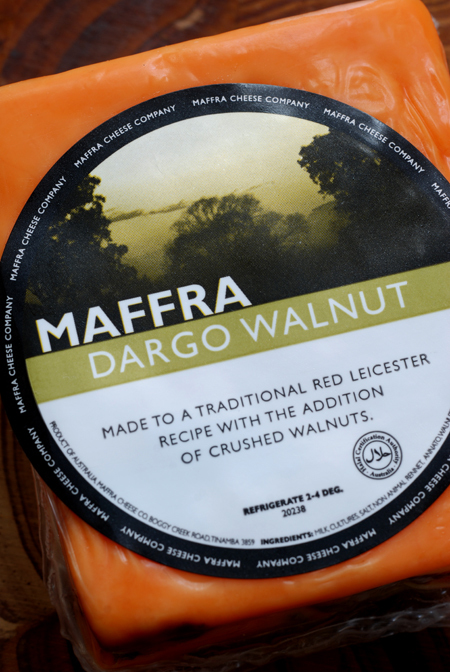 The Dargo Walnut is based on that famous English cheese, Red Leicester and in fact, Maffra also produces a plain Red Leicester. The colour is natural and comes from annatto seeds though it can be a source of allergic reactions so it is certainly something you would need to keep in mind. 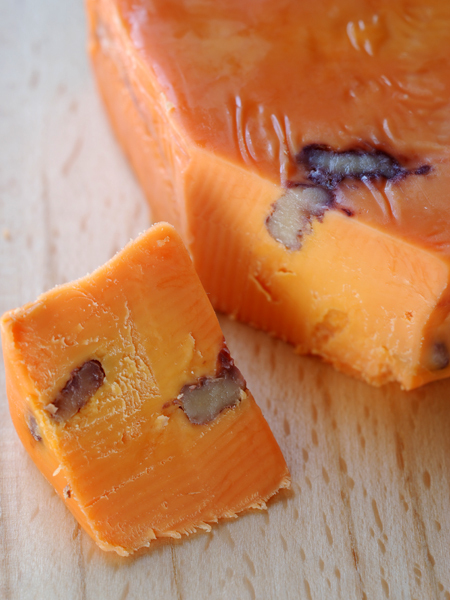 Red Leicester is a cheddar like cheese, quite mild and softly textured. In this cheese, local walnuts sourced from Dargo have been added, their flavour infusing the milk. 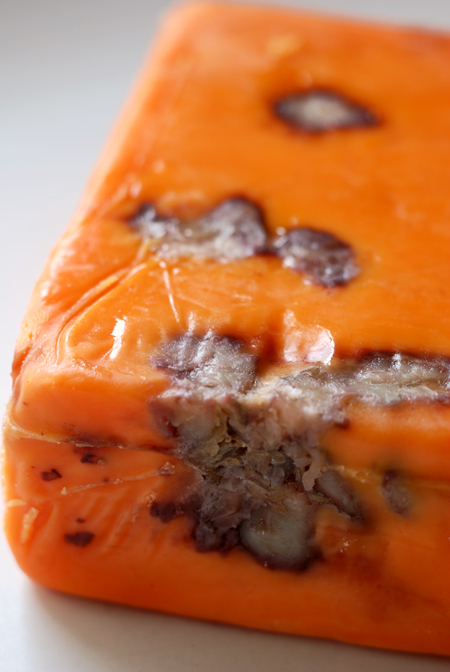 Apparently as the cheese matures, the walnuts will release their oils and create a marbled pattern in the cheese. This is quite a young version so that marbling hasn't developed. The walnuts add both a crunch and mealiness which are really interesting textural elements to what is a fairly smooth cheese.